My name is Pawel Gwizdala, and I am a repenting thief and founder of Unsteal.org. We are a charity that acts as a go-between for adults living in the U.S. who got away with shoplifting in the past but want to return the money. This can be for repenting thieves like myself or for witnesses of theft. However, we can’t return thefts from individuals for fear of being exploited for money laundering by criminals. After a decade of shoplifting, I stopped stealing after graduating with a bachelor’s degree and getting hired at the largest aerospace company in the world. I was compelled to return to a department store to pay for a perfume set that I stole for my girlfriend’s birthday. The cashier was startled by my confession, as well as my desire to pay back the store back in cash with interest, and eventually she accepted. This made me believe that others may want to atone for their past thefts, which led to the creation of www.unsteal.org. In March 2015, Unsteal Nonprofit Inc. was officially incorporated. Although I was never caught shoplifting, I turned myself in but charges were not pressed. I can personally vouch for the amazing reward one can get from recompense, and www.unsteal.org is the website for other petty thieves to feel that same gratification. Our board of directors include myself, Pawel Gwizdala, and Terrence Shulman. Mr. Shulman is a subject matter expert on shoplifting and is the CEO and chairman of the board of directors. Pawel Gwizdala is CFO and Secretary. No members of the board of directors are compensated for any Unsteal activity. Unsteal has no employees but hires attorneys for some services. Unsteal is approved as a 501(c)3 tax exempt nonprofit organization by the IRS. We serve the public as a mental health service to clear one’s conscience after feeling guilty about a prior petty theft from a store. 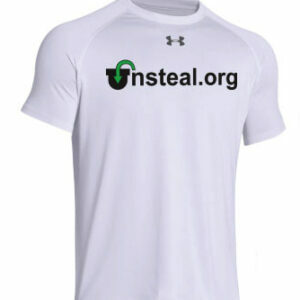 Unsteal does this by collecting money online or by mail, and returning the funds back to the merchants. There are fees taken out from the wiring service, but Unsteal collects NO FEES on recompense funds. However, when the victim merchant is deceased, out of business, impossible to track down or unwilling to accept funds, Unsteal uses all of these leftover recompense funds for kleptomania support. This may include paying for one on one counseling for individuals suffering from kleptomania who can’t afford it. The purpose of Unsteal is to offer retribution for any past theft by collecting money anonymously and returning it to the victims. Initially, we are using a website to host actual transactions, but we plan to launch a mobile app. To ensure the safety of our users, Unsteal cooperates with retailers at a corporate level, along with local officials, to protect users from prosecution as a result of an Unsteal transaction. Similar to the police’s “no questions asked” gun collection drives to reduce overall crime, we will gain support from law enforcement to give the public a chance to return something stolen without any fear of punishment. Unsteal’s goal is to assist in 500 million retributive transactions worldwide by 2034. To reach that target, we’re starting our focus with Los Angeles County. Next, we want to expand throughout all of Southern California. We will leverage social media with awareness events and interact with talk show hosts in order to attract a national audience to our cause. Lastly, Unsteal will host global transactions. Prior to collecting any money, we will add a FAQ page discussing statutes of limitations, criteria for petty theft, or any other information to protect our users. increase overall awareness and traffic our social media pages. victims. Unsteal cannot profit from the stolen money, as it would contradict the entire concept. To cover the operating costs of Unsteal, we must apply for grants and raise money on our own. Unsteal wants to be accredited by Charity Watch, Charity Navigator, and other watchdog groups. Our board members are not compensated.